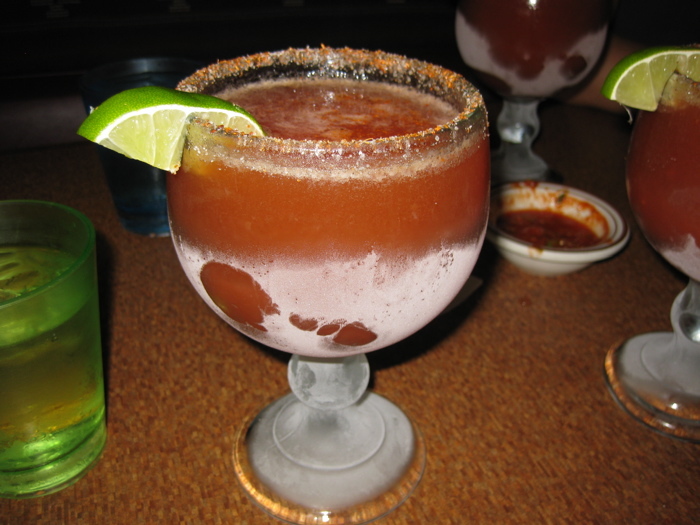 It’s called a michelada and I believe it is made with beer, bloody mary mix and lime juice, served in a massive chilled goblet lined with a salt and spice mix. It was enormous in size and flavor. Addictively refreshing and went well with the food we ordered. Nice call by CS on the drinks! Later that afternoon I was off to a tour of Crushpad. 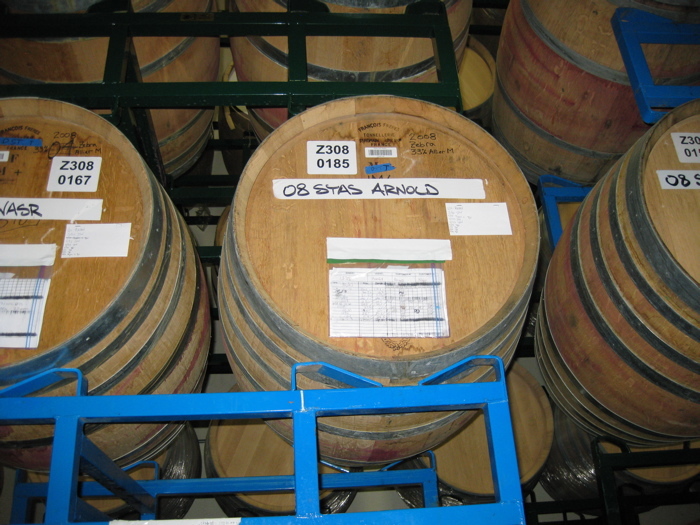 They’re a winery that allows anybody to create their own wine with a minimum order size of one barrel. I’m in on a barrel of syrah with Eric and his friends and family so I figured I would stop in and check on our wine-in-progress while I was in SF. 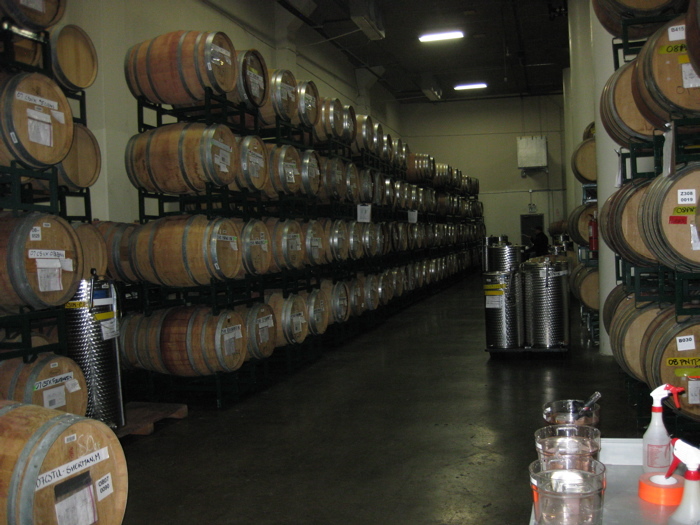 I was given a tour by Crushpad’s Stuart Ake who was extremely knowledgeable and enthusiastic about the entire wine making process. I was thoroughly impressed by their entire operation. They work with customers from the initial concept stages all the way thru to bottle selection and even custom label creation. And seeing their operation in person I can tell you they really strive to do the best they can with every aspect of the winemaking process. They even have a ceiling mounted webcam so that clients can watch their wines being racked over the internet. 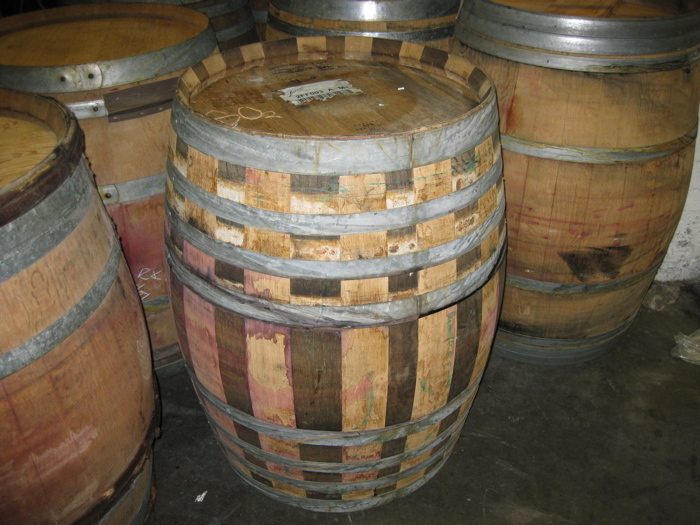 They can even fashion custom barrels, mixing and matching staves to create barrels that will impart specific characteristics to the wine! It was a fascinating and educational tour of the Crushpad facility, and our syrah was tasting pretty good already even though it has about 5 months of aging left. Afterwards I headed across the street to a seedy looking hole in the wall call The Hard Knox Cafe. 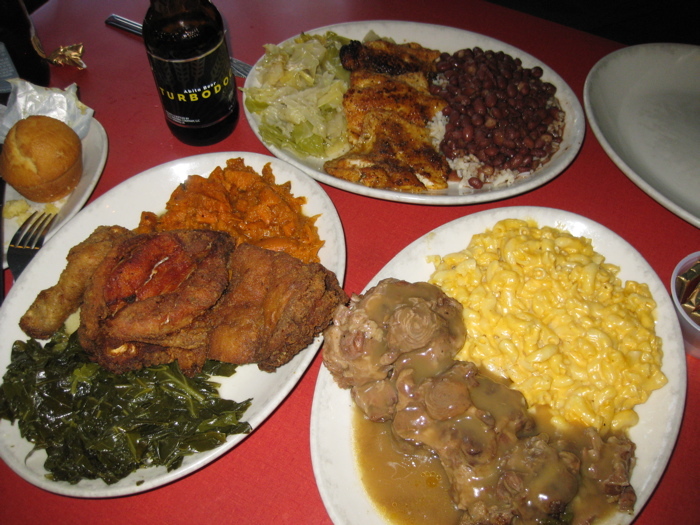 I love it when you stumble across excellent food in the least likely of places and that was the case with Hard Knox’s array of soul food. How does this spread look? Clockwise from left to right- collard greens, fried chicken, sweet potatoes, cabbage, blackened catfish rice and beans, mac and cheese, and ox tails. The chicken was a little bland, but that was the only disappointment out of the bunch. Even the cabbage and collard greens were really addictive. But the ox tails were my favorite, falling off the bone and served in a rich gravy. That was a surprisingly superb meal in the shadiest looking of places. After that we headed back to Dell’Uva for a few more bottles of wine before Mat called it a night and I went back to Lily and CS’s where they had a couple friends over and we just hung out in the man-cave (and of course did more drinking well into the night).